Marlay is understood to have been built in Westernport Victoria somewhere in the 1930s to 1940. 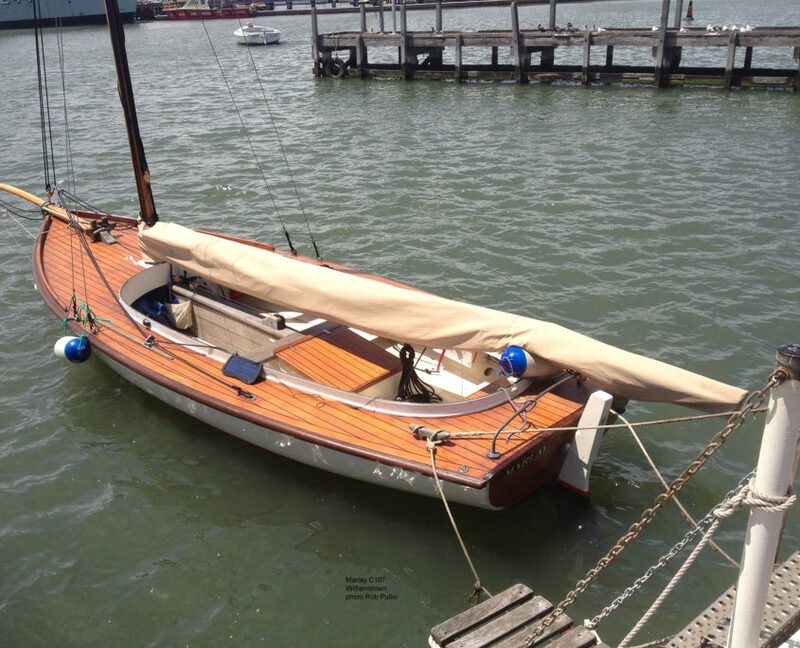 She is 22 feet with a 4 foot bowsprit and shallow 2 foot draft. She has a laid celery deck. 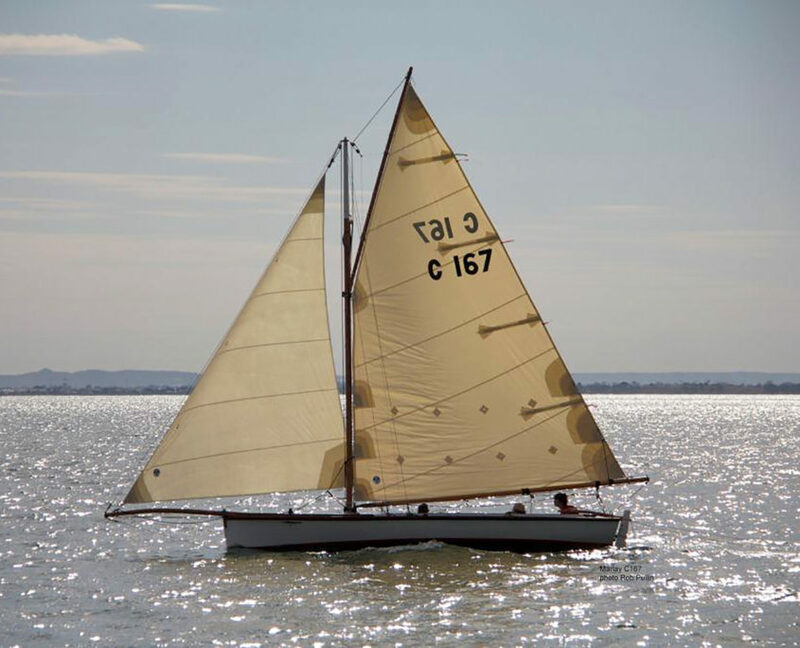 She is believed to have fished around the Westernport area for many years and was converted to motor in the 1970s. 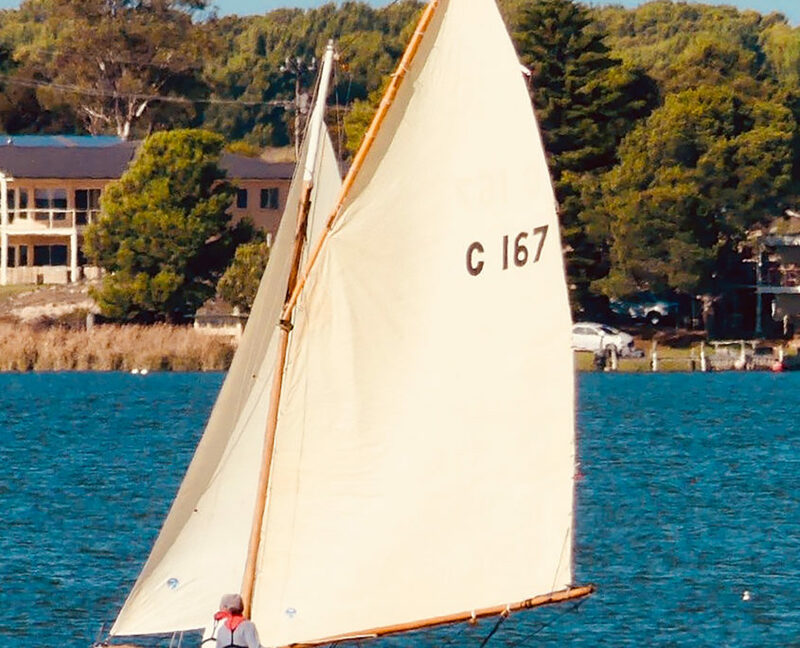 Not much of her history is then known until Murray Mackay purchased her as Ben Bunn in 2008 and with wooden boat builder Bret Almond undertook a restoration to return her to a sailing Couta at Queenscliff. 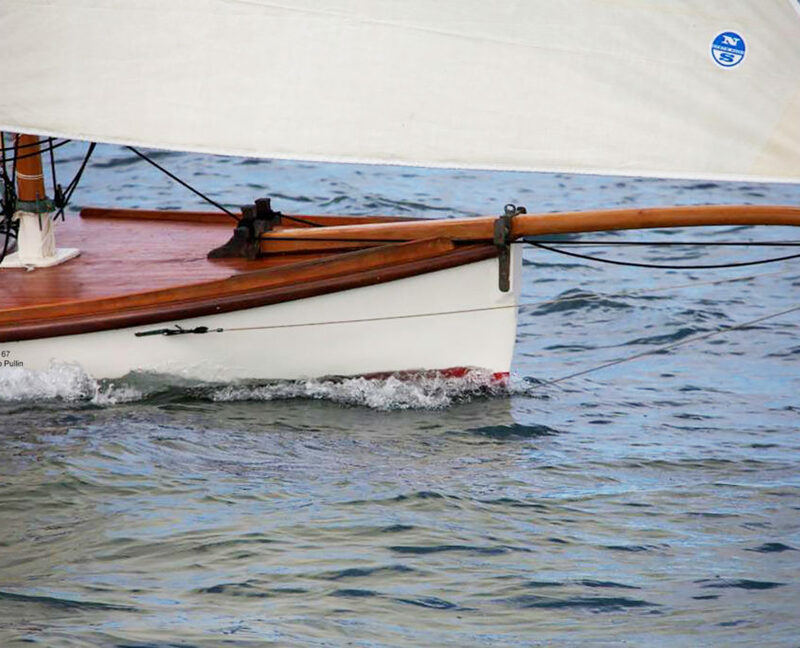 The hull was refurbished including a new keel case was and she received new spars, sails and rigging. 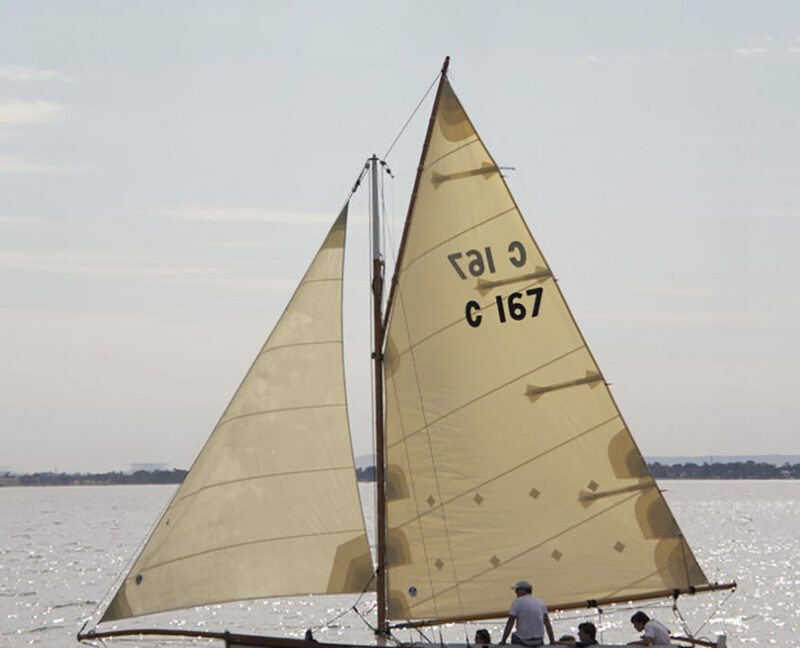 She was renamed and registered as Jadda C165. 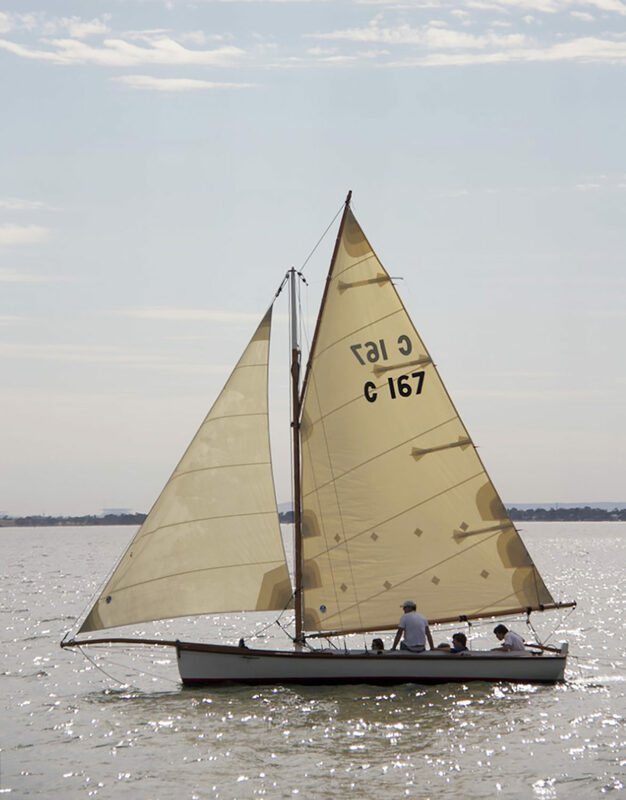 Murray though was immediately keen on a bigger couta and sold her to Rob Pullin in 2008 whilst retaining the name and sail number and rig and applying them to a new hull. 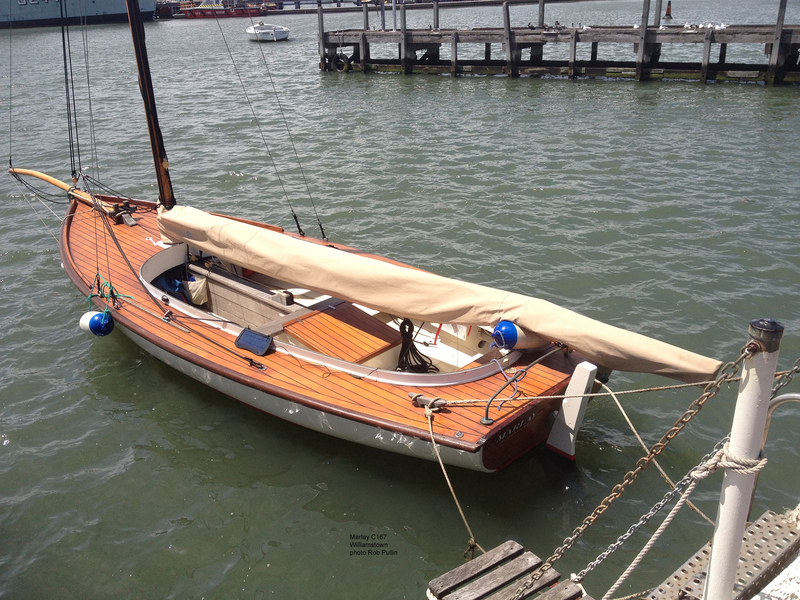 Rob sailed her to Williamstown to C. Blunt Boat Builder and started from scratch rigging her again from a bare hull. 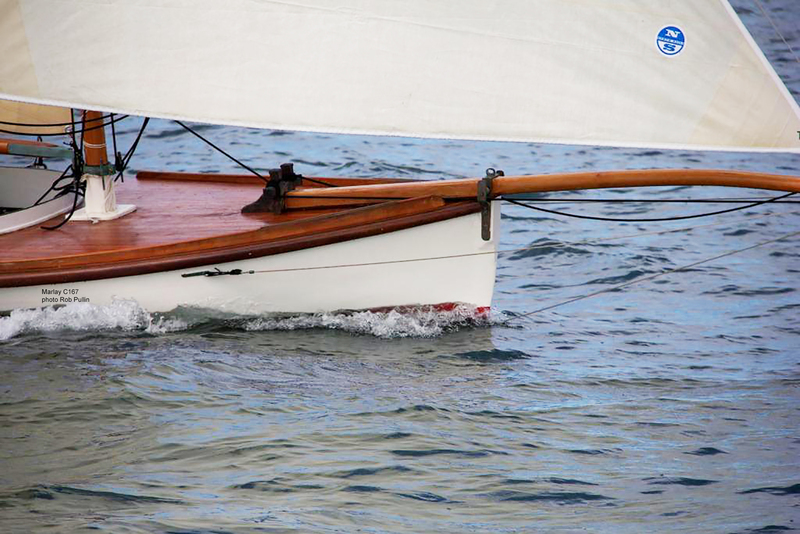 Greg Blunt decided that he would build the new mast and Paul Blunt built the boom, gaff and bow sprit. 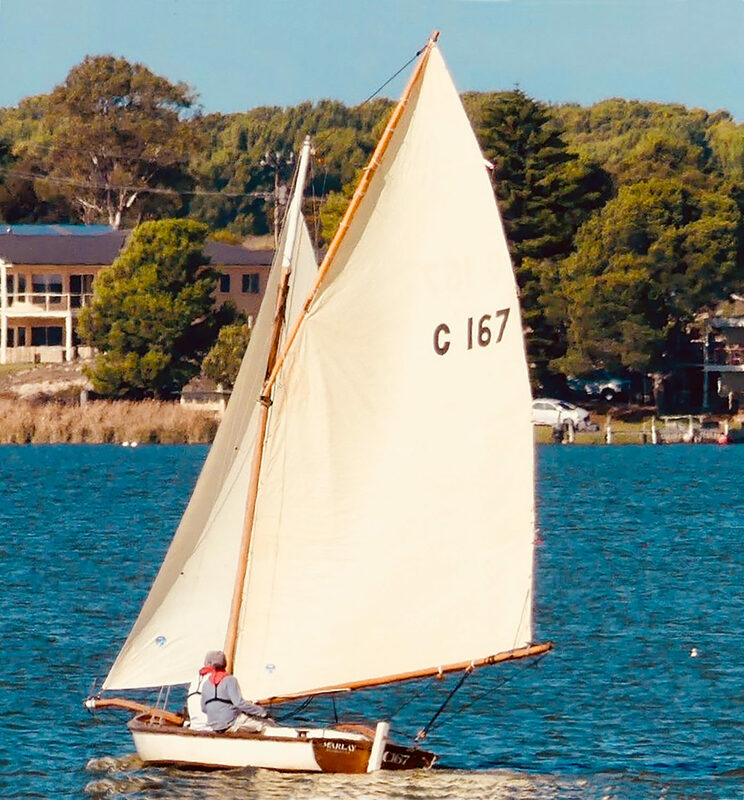 The old engine was replaced with a refurbished Volvo 2020 which was the last motor to come out of JJ Marine in Port Melbourne before retirement. 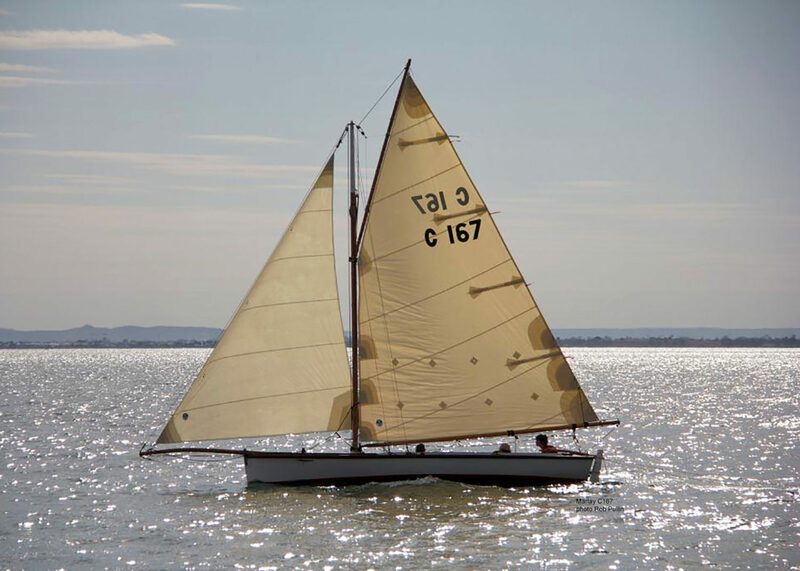 Rob had new cream sails made by North Sails and teak blocks and bronze sheave cars sourced from Classic Marine in the UK. New castings came from Briggs Marine. 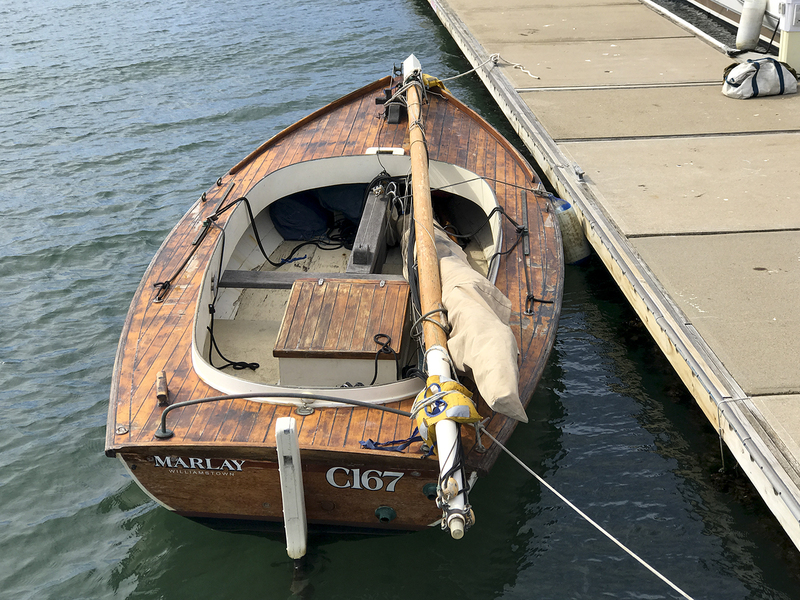 Rob then renamed her Marlay and registered her as C167. 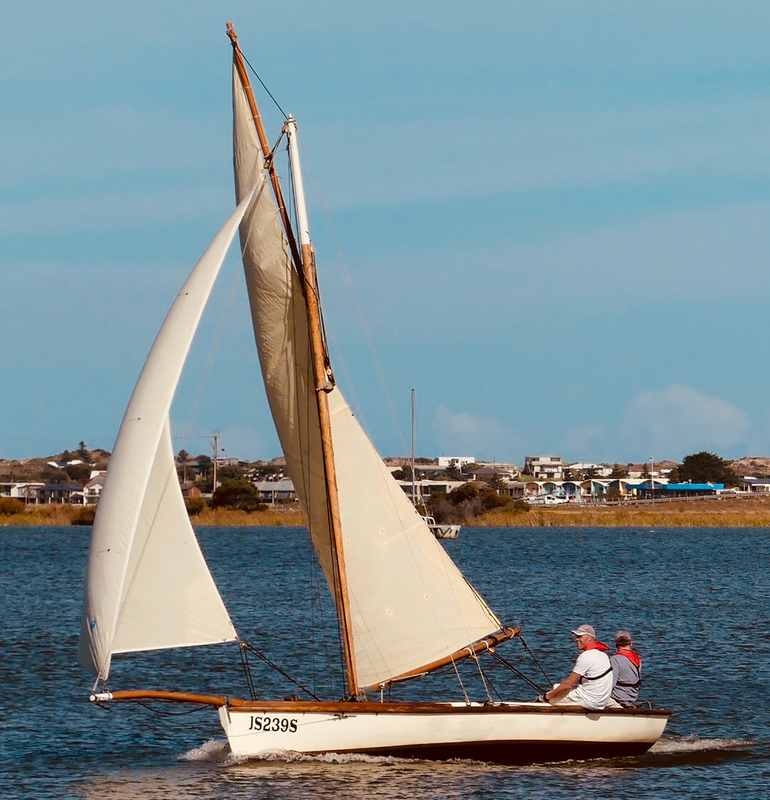 Rob sold Marlay to John and Diana Berwick in 2014 and she sailed regularly from Mordillioc Creek. She was damaged in a bad storm in at her berth in 2015 and repaired including all new wiring and dual batteries. 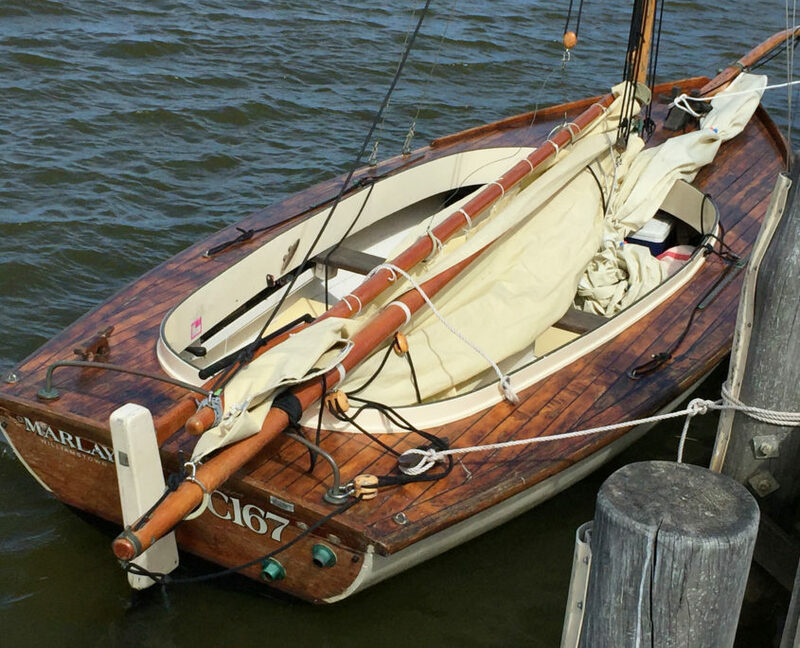 She was then purchased by James, Lachlan and John Jackson in 2017. 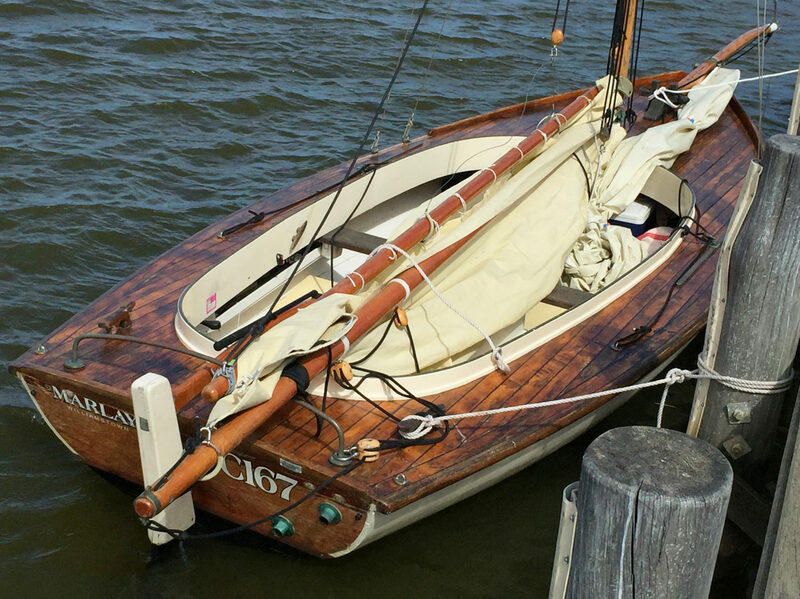 She was towed from Mordialloc to Sandringham Yacht Club and then trucked to Goolwa, South Australia. 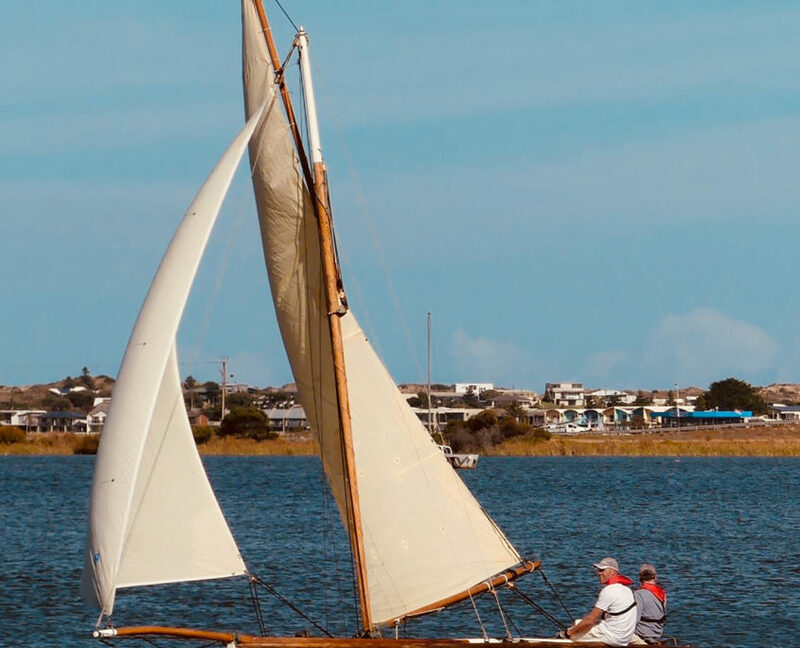 She currently sails the Goolwa lakes where her shallow draft comes in handy.